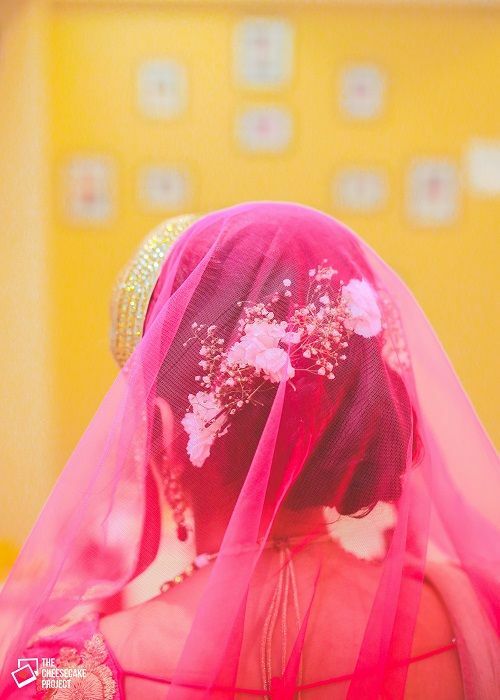 7 Beautiful Ways For The Bride To Wear Flowers In Her Hair! Fresh and fabulous… Flowers are truly the best hair accessory a bride can wear. They don’t cost a bomb, look great with every hairstyle, come in various colours and can be styled in so many ways. And of course, they smell amazingly good! Here are 7 gorgeous new ways to wear flowers for the perfect bridal look. Don’t forget to share this with your besties too! 1. The more the better! Image: Cupcake Productions Look how gorgeous this bride looks with a combination of fresh red roses and traditional gajras in her hair. 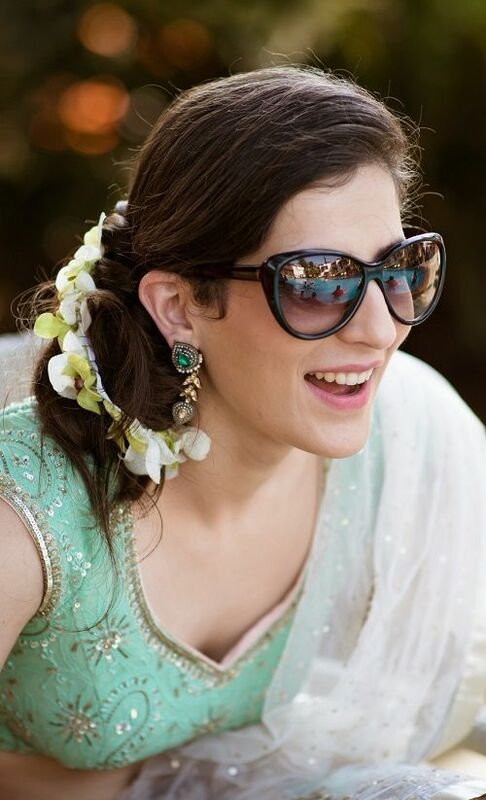 Line your entire juda with roses for a crowning effect and add the classic gajra for a royal bridal look. Image: The Cheesecake Project We love how delicate and dreamy baby's breath looks. You can style this bridal hairstyle with flowers with your engagement gown, for the sangeet night or for an elegant wedding day look. Also read: 9 Beautiful Bridal Buns To Inspire Your Hairstylist! 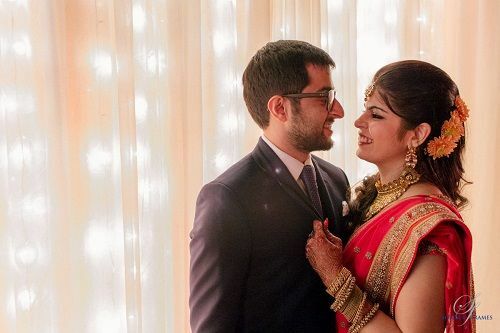 Image: Fotowalle The classic hair accessory has made a huge comeback and seems to be the new favourite for brides. 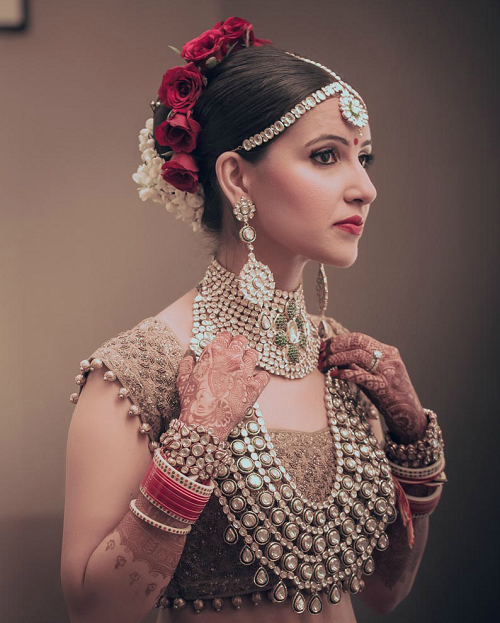 And we are absolutely head over heels with this bride’s take on it. 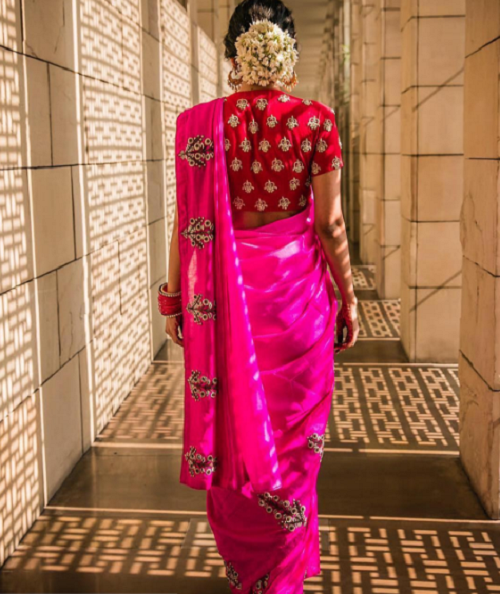 The white mogra flowers blend beautifully with her bright pink and red engagement saree. Image: Sonder Frames A half up half down hairdo? 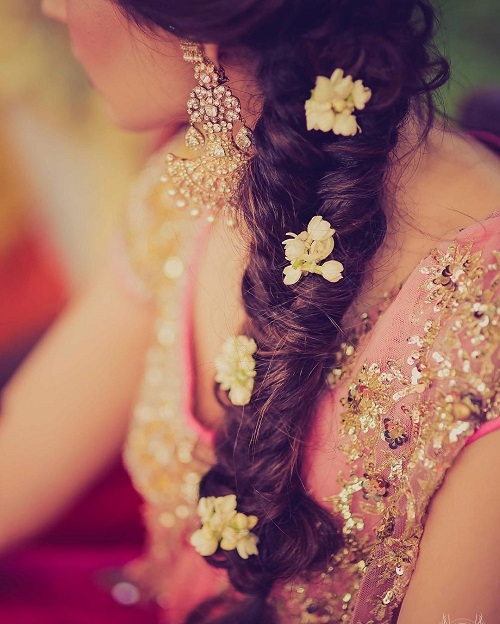 Fresh blossoms pinned up sideways beautifully enhance this Indian bridal hairstyle. 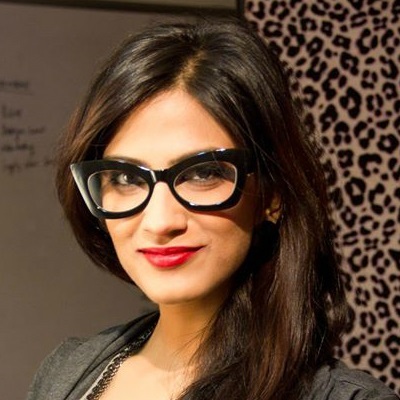 You could even match it to your outfits or go for a contrasting colour for a vibrant look. Image: Dipak Studios Sometimes just two pretty flowers can do the trick. This bride looks absolutely gorgeous with side-swept hair and two orange flowers to match her dress. It’s subtle, it’s sweet and will work wonders with almost every hairstyle. 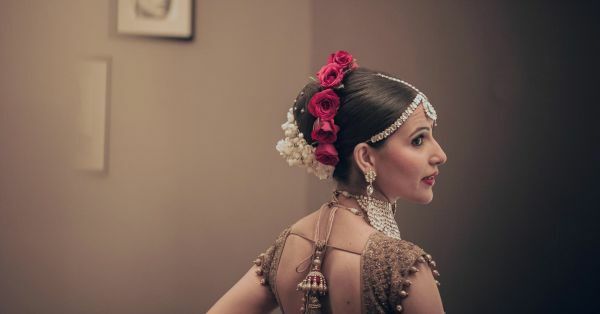 Image: Morvi Images on Instagram In this Indian bridal hairstyle, do up your braid with flowers instead of fancy pins for a fresh and fun look. You could have a string of flowers running along the length of your braid or just tiny little flowers pinned separately. Also read: 8 Pretty Bridal Hairstyles For Girls With Curly Hair!